Sunday Dinner Ideas! Grandma's Lasagna. Don't Skimp On The Meat Or Cheese! My grandma, Terry Menyes, got this recipe out of a magazine when she was first married almost 60 years ago. 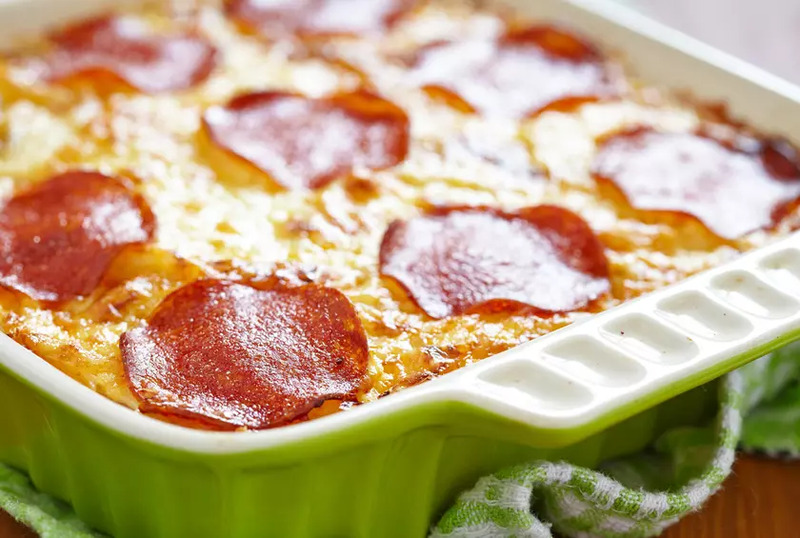 It's become a family favorite since then, and now everyone makes this lasagna. In a heavy skillet, slowly brown ground chuck. Spoon off fat. Add remaining ingredients. Simmer one hour, stirring occasionally. Mix together cottage cheese, Parmesan cheese, parsley and eggs. Cook lasagna noodles according to package directions. Drain. Place half the cooked noodles in baking dish. Spread with half the cheese filling and layer with sliced provolone cheese. Add half the meat sauce. Repeat layers, topping with mozzarella to cover entirely. Bake for 1 hour. Let stand 10 minutes before serving.